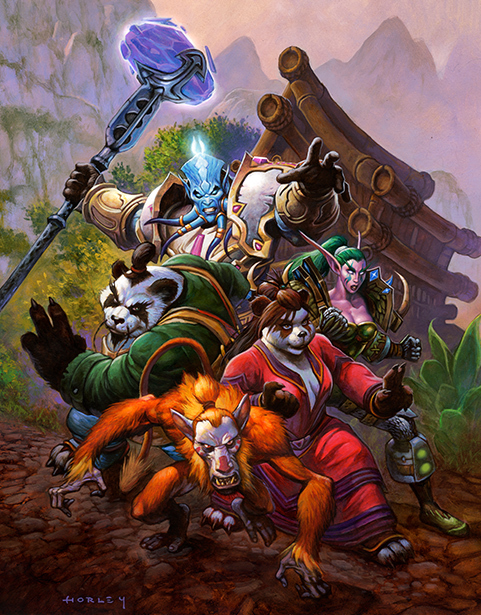 A new Pandaria faction story has been uploaded the official World of Warcraft site, this time focusing on everyone’s favorite farming, Harvest Moon-esque pandaren, the Tillers! “The Untamed Valley” was written by Robert Brooks, who has also authored “Death from Above”, and the Diablo III: Reaper of Souls story “The End of her Journey”. Writing about simple farmers may appear a far cry from Brooks’ earlier focus on giant Old God worshiping insects and demon-slaying, light-blessed warriors, but to bring out a cliche, appearances can be deceiving. Hello everybody, I know this is a few days post BlizzCon, but its the thought that counts, right? Anyways, the Warlords of Draenor demo from BlizzCon has been covered elsewhere; so this won’t be quite like the other descriptions of it. Instead I’ll be focusing on some neat tidbits I found, as well as some potential theories to the expansion’s plotline. Take the jump downwards to find out more! Blizzcon 2009 approaches rapidly in 10 days. About a month ago, I found at the Trademark Office website that Blizzard filed a new trademark titled Cataclysm. I submitted it to the press and it has spread globally. Lot of speculations have birthed since then. 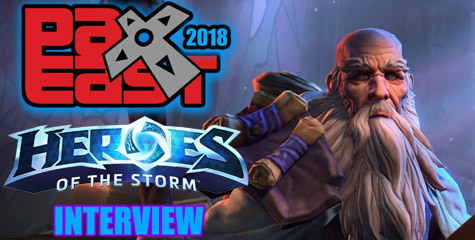 I have written my share of articles in the past weeks supporting the theory that Cataclysm refers to a World of Warcraft expansion based in the South Seas and the Maelstrom. As well as the Emerald Dream. Both as a combo. I remind you the Burning Crusade introduced a combo: Outland, Quel’Thalas and Azuremyst. In previous articles I mentioned the hologram of the world of Azeroth in the Halls of Lightning by Loken’s room. Which can also be found at the Planetary hall in Ulduar. You can see a screenshot here. In that image you can see Kalimdor is broken nearly in half. Most of The Barrens, Dustwallow Marsh, Mulgore and some of Stonetalon Mountains are represented as a crater that sunk underwater. However, amidst that huge crater lies an island. What could be tall enough as to not be submerged underwater with everything else? Thunderbluff. Who do we know lives in Thunderbluff that has ties with the Old gods? The Grimtotem tribe. Their leader? Magatha Grimtotem. As read in the Tauren History, Cenarius taught the Tauren druidism long ago. However, when Cenarius abandoned them, who we know as the Grimtotem tribe fell to the old whispers. Everyone knows nowadays that’s in reference to the Old gods. There are other hints that support the theory behind Cataclysm, beyond the fact there was a Sundering 10,000 years in the past. Ralo’shan the Eternal Watcher in Silithus mentioned a new sundering that originates from the nightmare. Malfurion revealed to Remulos in Moonglade the Nightmare’s source is the Old gods. Thus Ralo’shan gave us a hint that the second Sundering will originate from the Emerald Dream. Then we have the quote from World of Warcraft: Arthas (novel by Christie Golden) where Arthas the Lich King had a vision of the near future, a precognition. In it he saw possibly Nazjatar rise from the depths of the Maelstrom to the surface of the sea. He saw Cenarius in the Emerald Dream’s Nightmare. And lastly, a cataclysm—read more. The mountains themselves came to life, taking giant strides, crushing everything luckless enough to cross their paths. With each mammoth footfall, the world seemed to tremble and shake. Followers and non-followers of the World of Warcraft comic book should check us back this Monday at 5pm EST for our update. Things are getting exciting with the recent introduction of Medivh and Garona’s son: Med’an. Glimpses into what may happen down the line in upcoming WoW expansions, and the introduction of various key NPCs into the MMO: the new Council of Tirisfal. Speculation: Is the rebirth of the Council of Tirisfal the platform to introduce our journey into other worlds to fight the Burning Legion at their own backyard? Is the new Council of Tirisfal involved in the staging plan that will send us through the portals scattered throughout Outland to reach other worlds? 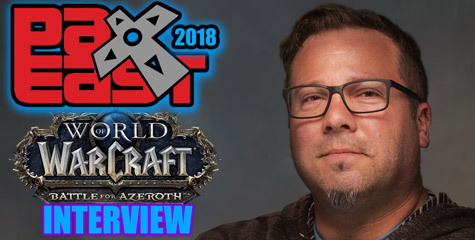 (Reminder: Metzen revealed at BlizzCon 2005 there were plans for at least 7 new worlds accessible through the portals created by Ner’zhul. Illidan sealed them in Warcraft III: Frozen Throne, but with the betrayer defeated, adventurers may access these portals to reach other worlds that have fallen to the Burning Legion. According to the WoW RPG: Shadow and Light, we might find rebel factions in those worlds as allies to fight the Burning Legion). It is highly possible that Turalyon and Alleria may be stranded in one of these worlds if they escaped the destruction of Draenor through one of the portals. 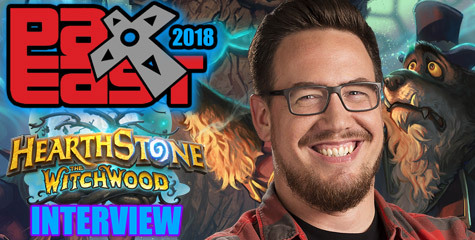 So far we have been hinted of new worlds beyond Azeroth, and Outland. The World of Warcraft: Rise of the Horde showed us a background story of Velen, Archimonde and Kil’jaeden in their homeworld: Argus. World of Warcraft Classic introduced a Warlock quest to summon their Dreadsteed mount. It involved a ritual where demons pour into the western-wing of Dire Maul. The world Xoroth is mentioned which is rumored to be the Nathrezim (Dreadlords) homeworld. Whether it is or not the same world is unknown, but Mal’Ganis flees to his homeworld through a portal during an Onslaught Harbor quest (Watch our video). There is another scene in Death’s Door, in Blade’s Edge Mountains where an Eredar named Baelmon the Hound-Master summons one of those giant two-headed dog-like demons: Void Hounds. The second portal in-game is in the western-side of Zangarmarsh dubbed the Portal Clearing. The third portal in-game is located in the Twilight Ridge, on the western edge of Nagrand, high in the mountains and can only be accessed with a flying mount. This portal is surrounded by the Shadow Council orcs and ogres, an Eredar and other demons. They are attempting to activate and re-open the portal. This gate will allow players one day to access another world that has been overrun by the Burning Legion. Aside from these three portals already existent in-game, Chris Metzen revealed in 2005 there were plans to add four more portals in Outland in undetermined locations. Among other worlds that have been directly mentioned or indirectly implied in certain World of Warcraft quests is also the homeworld of the Worgen. These were summoned into Azeroth from another plane by Arugal and by the night elf Velinde Starsong who was given the Scythe of Elune. It is unknown what world they come from. The Elemental Plane is somewhere in the Twisting Nether. It was built by the Pantheon of the Titans to hold the Lieutenants of the Old gods (the Elemental Lords) isolated from Azeroth. For those with sharp eyes, you can see many worlds monitored by Loken in the Halls of Lightning. And there is also the planetary hall in Ulduar displaying various floating worlds through holograms. How many worlds are displayed in Ulduar? Seven worlds. 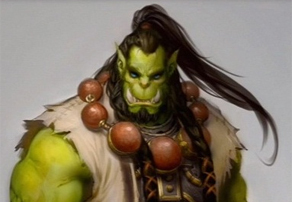 The exact amount of worlds Chris Metzen revealed are planned for future expansions of World of Warcraft. Blizzard is clearly hinting at us in the Planetary Hall what to expect in the long lifespan of World of Warcraft. Future Expansions will be aimed to set our journey into the stars. This Warcraft 3: Frozen Throne video shows the single-player campaign where Illidan seals the portals of Ner’zhul that allowed the Burning Legion to send reinforcements to Magtheridon. Illidan sealed these portals with the help of Kael’Thas, Lady Vashj, Akama and his draenei (Click on the zoom-in button for a full-screen view). Plunder Isle has been the Bloodsail Bucanneer pirates stronghold for nearly a decade. It is ruled by Duke Falrevere. These are the archenemies of the Blackwater Raiders Pirates in Booty Bay. The Bloodsail are bad guys full of ruffians and assassins. Little is known about Duke Falrevere except he was a former Lordaeron noble. His wife’s fate is unknown—just that she was in Kul’Tiras. His daughter, Jesse Falrevere, is commodore of the Bloodsail Buccaneers. Duke lost his son Magrann Falrevere when a cannon shot by a Blackwater Raider ship sunk his ship. Duke Falrevere was successful businessman who owned warships and merchant ships in Kul’Tiras. He was a rival of Admiral Daelin Proudmoore. There were major differences between both men. Duke was a human supremacist who did not believe in the alliance with elves and dwarves, or any other races. During the Third War, a dwarf arrived on a gryphon and aboarded the Devil Shark (Duke’s main battleship) requesting help. When the Devil Shark reached Drisburg on the north side of Kul’Tiras, he saw the Scourge raiding the place. The chances to win such a battle were not worth in his eyes. He wouldn’t sacrifice the lives of his men for mere gnomes and dwarves settled there. He blamed the invasion of the Scourge and the destruction of most of Lordaeron to the elves and dwarves. Some of his men abandoned him to die for Lordaeron against the Scourge. Others remained with him and shortly after built the Bloodsail Stronghold in Plunder Isle. 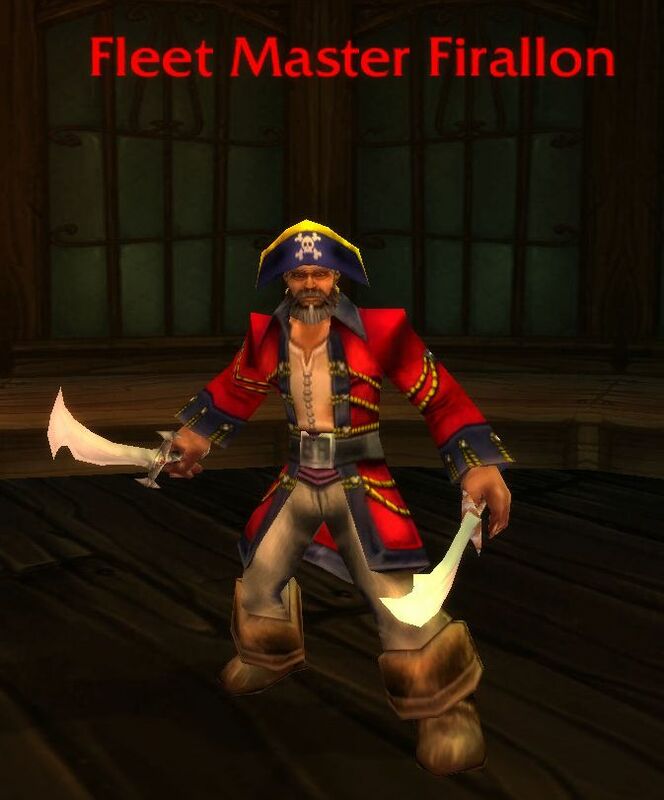 Personally, I’m not sure how canon this is, because in-game we see a few races have high ranking positions among the Bloodsail Buccaneers on the fleet found south of Booty Bay: Captain Stillwater (Gnome), Ironpatch (Orc), Garr Salthoof (Tauren), Captain Keelhaul (Goblin). They have various warlocks that summon imps and succubus. How much has the Bloodsail Buccaneers have fallen under the influence of the Burning Legion and dreadlords is not known. Duke has four Commodores: Commodore Jessi Falrevere, Commodore Lester Zank (Human Warlock), Commodore Wallace Boltscrew and Wallace’s lover Annetta Crank. Both Wallace and Anneta are engineers and have built a small fleet of submarines to serve the Bloodsail Buccanners. Duke plans one day to invade Kul’Tiras and become its new ruler. 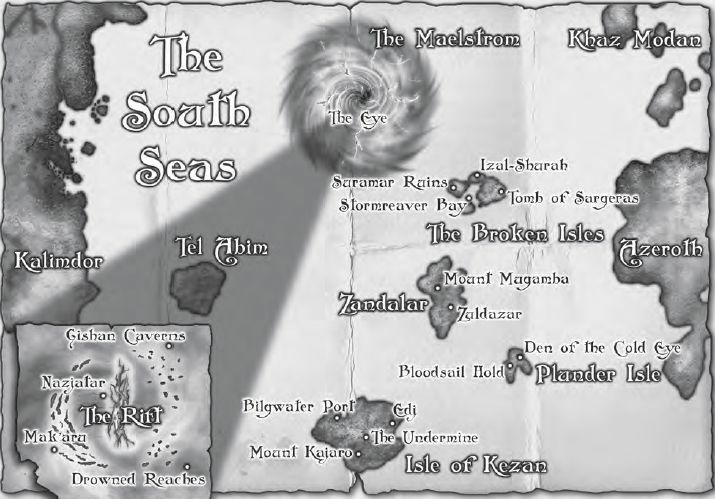 Plunder Isle is found east of Isle of Kezan, and south of Zandalar Isle, and southwest of Booty Bay. It’s a tropical isle with palm trees, and tropical forests, and rocky coasts. The Bloodsail Hold is on the west coast of Plunder Isle. The hold has cannons aiming to the sea to defend from any fleet attempting to invade their territory. On the east side of Plunder Isle, the coast has Murloc villages. To the northeast, the Basilisks inhabit the Den of the Cold Eye, a series of caves. Meeting their gaze has doomed many adventurers to become crystal stone statues.—summary from the pages of World of Warcraft: Lands of Mystery by White Wolf Publishing. 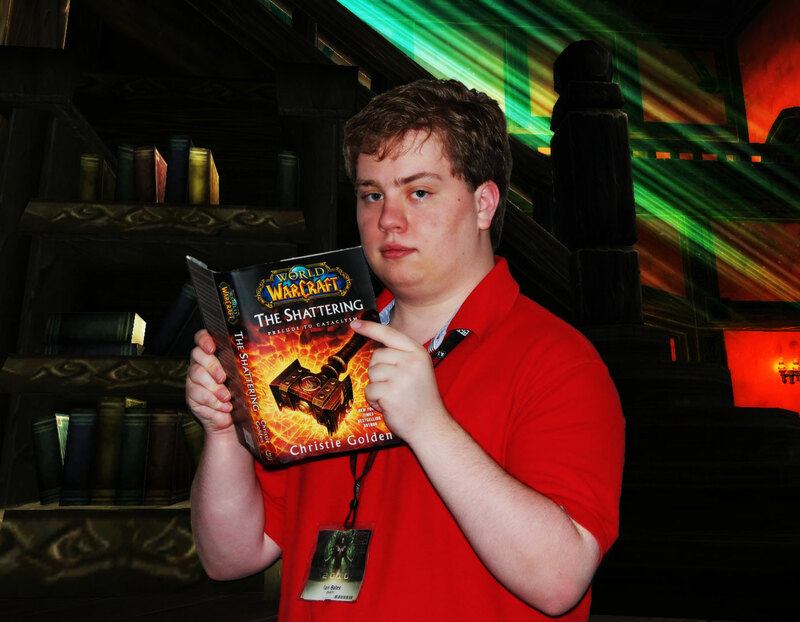 You may find in the pages of WarCraft Legends Vol. 4 (Tokyopop) a story by Dan Jolley—based on the Bloodsail Buccaneers. Wouldn’t you love an all-out Bloodsail Buccaneers vs. Blackwater Raiders Battleground? Imagine scripted NPCs offering daily quests that you must accomplish during your PvP encounters. You can either man Battleship cannons, fight old-Booty-Bay-PvP-style, maybe you could mount submarines like you do Siege Vehicles. While the submarine pilot can shoot torpedoes, another player in the same submarine could man a turret to shoot down any flying machines attacking the submarine. You must take control of an Oil-Refinery. If you take control of the Shipyard, you can have access to new Battleships. Instead of killing the opposite faction leader, the aim of this battleground would be the first to annihilate the Bloodsail Buccaneers battleships wins the event. For that you would have to PvP your way to control the shipyards. You also need to eliminate the opposing faction battleships, submarines and flying machines before they get to the Bloodsail Commodore. Who doesn’t love some Pirate battle action? World of Warcraft meets Pirates of the Caribbean. Share with fans your own personal ideas about a Pirate-like Battleground. Let’s hear your creative ideas. Cataclysm: Deciphering the DaVinci Code … a new playable race? The Balnir Farmstead has a past mystery … a place that holds a dark secret that no one but Prince Arthas Menethil knows. A secret that would be dragged within for years. A secret that would forever damn his soul. Read our preview of World of Warcraft: Arthas, Rise of the Lich King. Participate on the World of Warcraft: Arthas Galley Giveaway. World of Warcraft # 15 Preview - Garona Birthed A Half-Human Baby? World of Warcraft: Night of the Dragon is the long-awaited follow-up to Warcraft: Day of the Dragon. Richard A. Knaak fleshed out a set of intermingled events that keep you reading in expectation of what would happen next. Danger lurks everywhere. Without, but even more within Grim Batol. Back on 2001, when Warcraft: Day of the Dragon hit bookstores, World of Warcraft was still in early development. The author had to rely on his skills, Chris Metzen (VP of Creative Design) and the dubbed Warcraft Bible to write Day of the Dragon. With World of Warcraft now reaching its 4th Anniversary, Richard A. Knaak was able to take advantage of the geography and fauna of Azeroth. From Ratchet’s goblins and Bloodsail Buccaneer pirates to Wetlands’ dangerous oozes, crocolisks and raptors. The World of Warcraft: Night of the Dragon novel by Richard A. Knaak hit bookstores on November 18. It’s been nearly two weeks, and most fans have read through the book. Lore fans are invited to discuss the book’s storyline and to share opinions and ideas. We will peel off this novel to analyze what it may foreshadow to the lore and to World of Warcraft: Wrath of the Lich King (MMO). Unconfirmed rumor might be spawn from this novel that the next content patch could be a Grim Batol dungeon. There are a few details in the novel that clearly marks the time-frame the events happen in. Anveena’s sacrifice at the Sunwell Plateau is mentioned by an angry Kalecgos who shoved it at Krasus, blaming him. This is mostly a fans chat with full spoilers. Only attend if you have read the book, or don’t mind spoilers, or the book won’t be available in your country for a long time and you wish to learn more of its content. The fans chat will take place on Sunday, November 30 at 1:00 pm EST (New York) or 6pm (UK). I wrote a review of the World of Warcraft: Ashbringer # 2 available at comic shops and newsstands, accompanied by a lengthy spoiler summary. You can read the first and omit the latter, or you can read both at your discretion. This comic book written by Micky Neilson fleshes out the betrayal of Mograine’s son, and introduces the very moment the Scarlet Crusade and the Argent Dawn are founded.